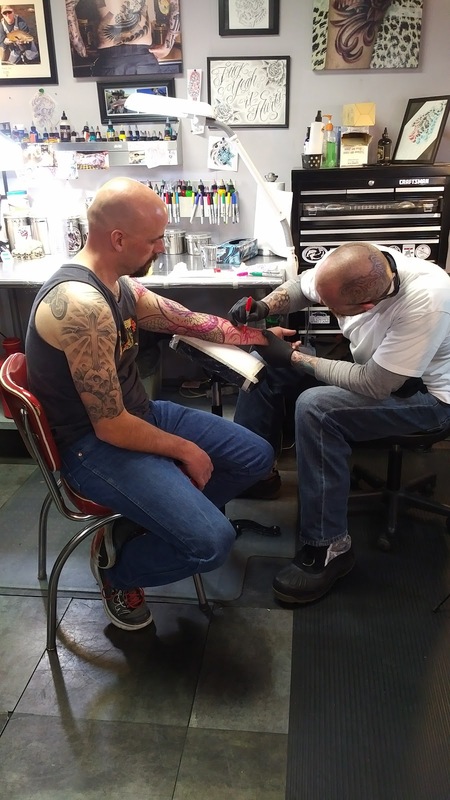 Does the world need another tattooer? Well - if you bring something fresh, positive or completely creative - then yes, the tattoo world may need you! However - if you "just think it would be fun / cool", your mom thinks you "trace real well" - or you are doing it to "make mad money" this isn't the path to travel - you are frankly not needed. Sorry for the tough talk - but I believe that is what is needed in the tattoo business these days. Never stop your art studies and training. 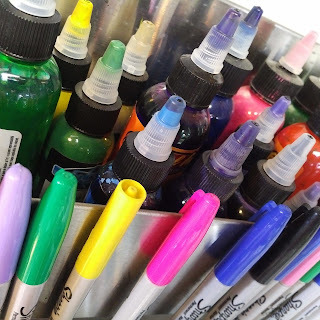 Now you would think this would be obvious - yet many wanna be tattoo artist stopped taking any art courses or searching out new mediums in high school. This will not due in major tattoo markets. Tracing a design off of flash (sheets of drawn tattoos made popular in the early days of commercial tattooing) - is no longer relevant in most shops. 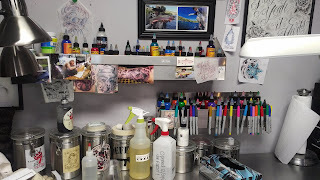 Every single tattoo in my shop is customized in some way. 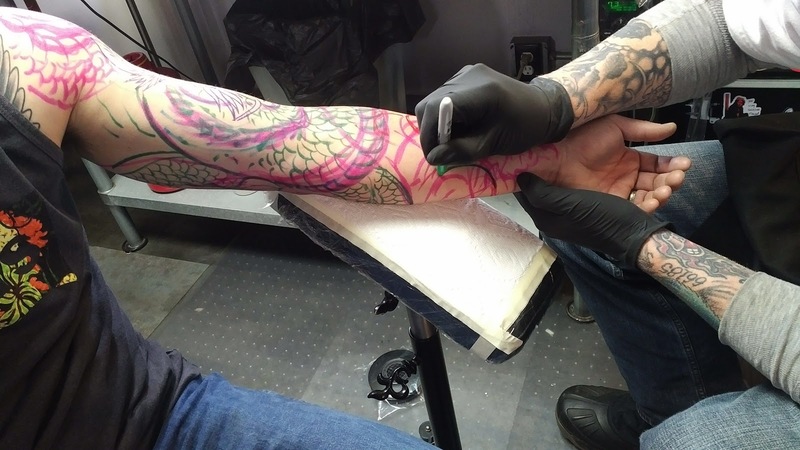 New styles of tattoos are coming and going at lightening speeds. Having a background in all kinds of art mediums helps you adapt and figure out how to create these new demanding styles. If you find it "too much trouble" or "don't have the time" to keep up your art education this isn't the career for you. You must love tattoos yourself. Seems rather silly too, doesn't it? But once again, I have seen a few of these so called tattoo artists who are just trying to make a quick buck in our world without even liking the medium enough to get a tattoo on themselves! Who the hell wants to get a tattoo from an individual who has no ink on themselves? I know I wouldn't. The old saying "Never trust a skinny chef" seems to fit here. Smacks of self righteousness - I would never hire a shop assistant without tattoos let alone a tattoo artist! 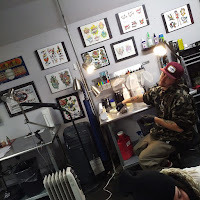 Find a shop and artist who you admire - and get some ink done in that shop. I don't even like having a cup of coffee with a person I haven't spent at least a few minutes with let alone offer an apprenticeship to! Time and again we have youngsters walk in unannounced and ask if we would give them an apprenticeship. WHAT!?! Why will we spend years of our lives teaching you a craft and skill you will have forever and I don't even know your name!?! I can admire it taking some guts to "cold call" anyone for anything - but seriously, did you think this through at all before coming into my shop on a Saturday, looking washed out from last nights party AND with 3 of your friends tagging along behind you?!? NEVER GOING TO HAPPEN. Be prepared to work for free. YES - really. Most traditional shops are going to have you performing as a glorified custodian. Remember those is school? Well you will be the one now cleaning bathrooms, scrubbing bodily fluids from surfaces and doing everything the tattoo artist does not want to do. And the worst part? You better act like you LOVE to do these jobs. That you live to come in and clean a torn apart shop that was busy from the holiday weekend and is totaled worse than a car wreck. 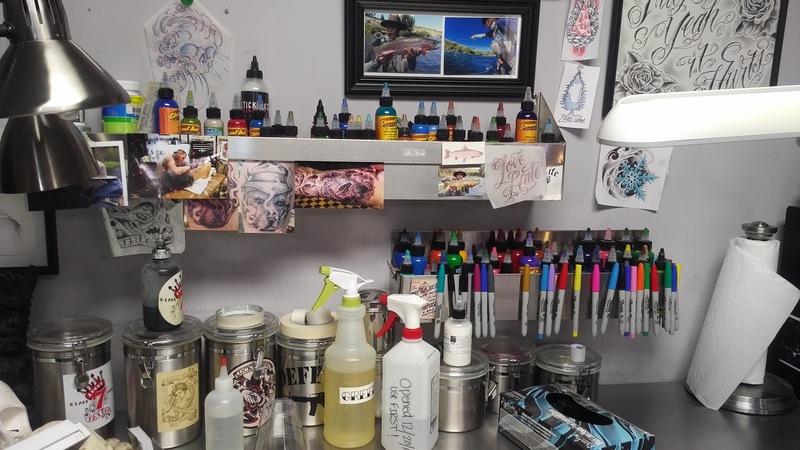 Think you might be able to get around all this hard work by attending a "tattoo school"? 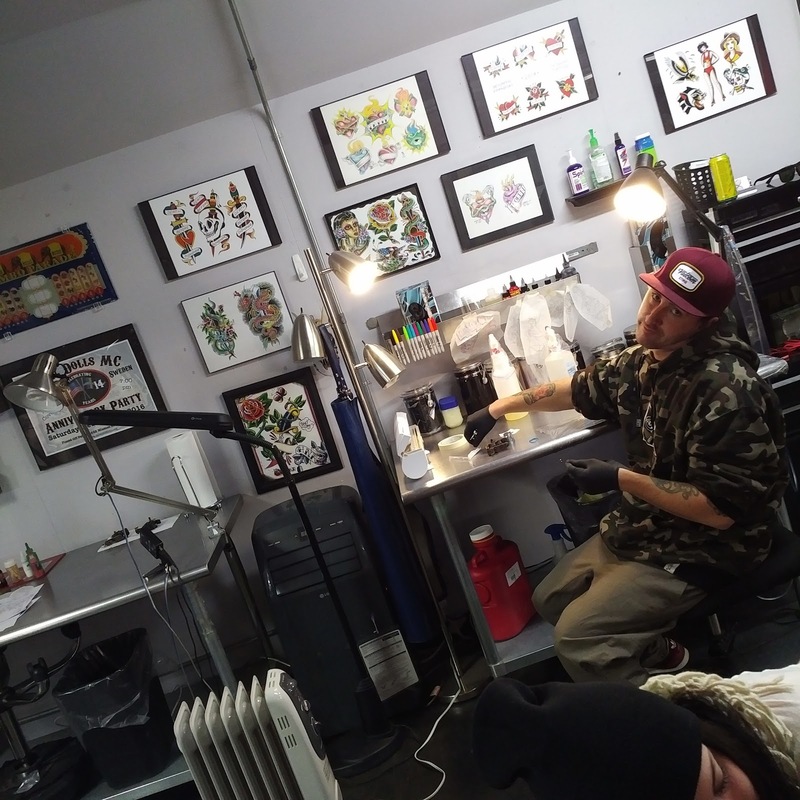 Think again...NO ONE who has any amount of respect for the tattoo industry will hire you just because you spent 2 weeks and thousands of dollars of your parents hard earned money at a so called "tattooest school". Better to offer that money to a shop you would like to learn at rather than throwing it away at these schools. You cannot learn ANY hands on trade in two weeks! All you will feel is ripped off and unprepared to all the challenges a real artist faces day to day with real clients. Now by no means is this a complete list - but it is a solid jumping off point to really self examine if a career in tattooing is for you. After watching many apprentices start out strong and end in a fizzle - I can safely say a list like this would have served them well. Avoiding the mistake of wasting months and even years in training for a job they never were cut out for to begin with. I freely welcome any comments or additions you may have. Questions are always welcome too.